New week and another new talented writer shares their excellent work at MOVIEVIRAL! This time it’s J.D. Lafrance, with a retrospective review on THE ADVENTURES OF BUCKAROO BANZAI ACROSS THE 8TH DIMENSION! The Adventures of Buckaroo Banzai Across the 8th Dimension! (1984) is arguably the cult film most worthy of having its own franchise. It made a bid for this status in 1984 but its eccentric characters and ambitious blend of several genres left audiences and critics perplexed and it promptly tanked at the box office thus sealing its fate as a cinematic oddity. It’s a shame because the film is funny and exciting and features a top notch cast of character actors. It assumes that its audience is intelligent and observant enough to pick up references to the fiction of Thomas Pynchon and Orson Welles’ radio plays. There’s a lot of plot and back-story to digest, which may have scared people off initially. 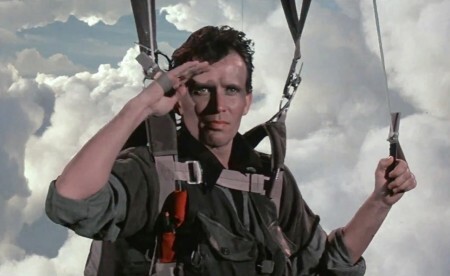 Buckaroo Banzai has endured and now enjoys a small but dedicated cult following and counts filmmakers like Kevin Smith and Wes Anderson among its fans. We first meet our hero Buckaroo Banzai (Peter Weller), performing complex brain surgery with a colleague known as New Jersey (Jeff Goldblum) whom he asks to join his team, the Hong Kong Cavaliers, a group of rock ‘n’ roll scientists. Buckaroo goes directly from surgery to a testing site out in the desert where he proceeds to drive a jet car into a mountain and survive thanks to a nifty little gizmo called the oscillation overthruster. Imagine Buckaroo as the Chuck Yeager of scientists. The overthruster allows Buckaroo to travel through solid matter into what is known as the 8th dimension. The next day, Lizardo sends three of his lackeys to steal the overthruster at a press conference held by Buckaroo so that he can return to the 8th dimension. Buckaroo and his team figure out that the Red Lectroids arrived on Earth on October 31, 1938 in Grover’s Mill, New Jersey, which is a sly nod to Orson Welles’ infamous radio broadcast of The War of the Worlds, only in this film it wasn’t a hoax. As if Buckaroo didn’t have enough to worry about, he receives a message from the Black Lectroids (who, incidentally, look like black Rastafarians) from Planet 10 who tell him that they will trigger World War III if he doesn’t stop Lizardo by sundown. Richter and writer Earl Mac Rauch met through the Dartmouth College Alumni magazine. Richter had read a review of a book that Mac Rauch had written called Arkansas Adios, then bought and read it. He enjoyed the book so much that he wrote Mac Rauch a letter asking permission to adapt it into a film. Mac Rauch was flattered and agreed. The two men began corresponding and when the writer told him about his interest in becoming a screenwriter, Richter offered him an open-ended invite to visit him in Los Angeles where he was attending the University of Southern California and working as a script analyst for Warner Bros.
Years passed and Richter became a successful screenwriter. Mac Rauch took him up on his offer and arrived in L.A. Richter proceeded to introduce the writer to producer/director Irwin Winkler who gave Mac Rauch rent money for the next six months. Over several dinners, Mac Rauch told Richter and his wife about a character named Buckaroo Bandy that he was thinking of writing a screenplay about. Richter and his wife liked the idea and paid Mac Rauch $1,500 to develop and write it. Mac Rauch’s original 30-page treatment was entitled, Find the Jetcar, Said the President – A Buckaroo Banzai Thriller. 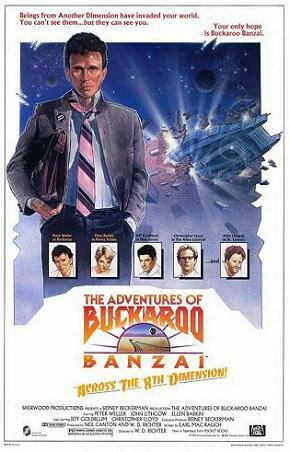 Early on, one of the revisions Mac Rauch made was changing Buckaroo’s surname from Bandy to Banzai but he wasn’t crazy about it. However, Richter convinced him to keep the name. The Hong Kong Cavaliers also appeared in these early drafts, but, according to Richter, “it never really went to a completed script. Mac wrote and wrote but never wrote the end.” Another early draft was entitled, The Strange Case of Mr. Cigars, about a huge robot and a box of Hitler’s cigars. Mac Rauch shelved his work for a few years while he wrote New York, New York (1977) for Martin Scorsese and other un-produced screenplays. In 1980, Richter talked with producers Frank Marshall and Neil Canton about filming one of his screenplays. Out of this meeting, Canton and Richter formed their own production company and decided that Buckaroo Banzai would be the first film. Under their supervision, Mac Rauch wrote a 60-page treatment entitled, Lepers from Saturn. They shopped Mac Rauch’s treatment around to production executives who were their peers but no one wanted to take on such unusual subject matter by two first-time producers and a first-time director. Canton and Richter contacted veteran producer Sidney Beckerman at MGM/United Artists who Canton had worked with before. Beckerman liked it and introduced Richter and Canton to studio chief David Begelmen. 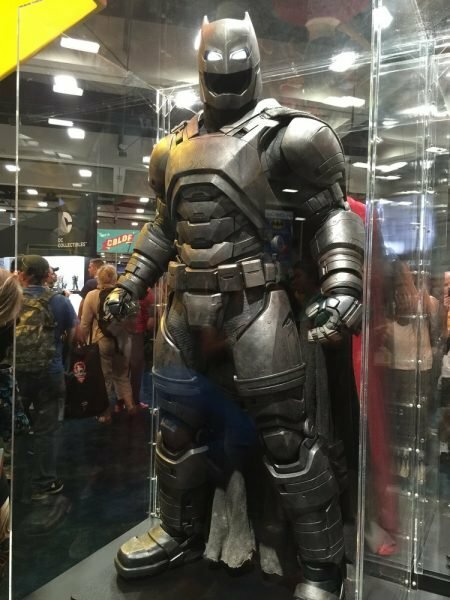 Within 24 hours they had a development deal with the studio. It took Mac Rauch a year and a half to write the final screenplay and during this time, the Lepers from Saturn treatment became Lizards and then Lectroids from Planet 10. 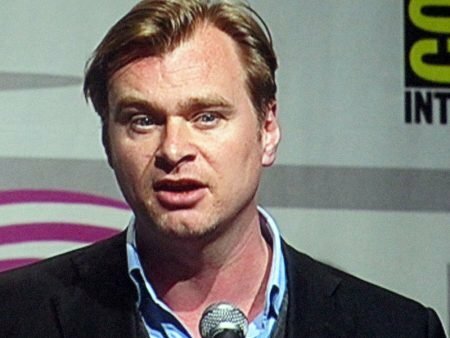 However, a Writers Guild of America strike forced the project to languish in development for more than a year. Begelmen left MGM because several of his projects had performed poorly at the box office. This put all of his future projects, Buckaroo Banzai included, in jeopardy. 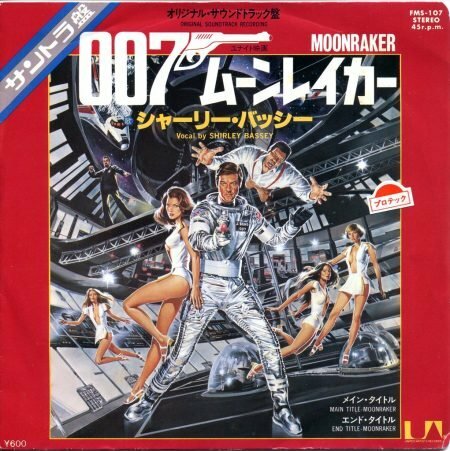 Begelmen formed Sherwood Productions and exercised a buy-out option with MGM for the Banzai script. He took it to 20th Century Fox who agreed to make it. Mac Rauch ended up writing three more drafts before they had a shooting script. Buckaroo Banzai features some fantastic casting, like that of the three Red Lectroids that kidnap Penny Priddy and the overthruster. They are played by wonderful character actors Dan Hedaya, Vincent Schiavelli and Christopher Lloyd. They kind of appear to be like aliens with their unconventional looks. They get a nice scene to do their thing while investigating a crashed spacecraft, running into two hapless hunters and a police officer (who is played by none other than John Ashton, who would go on to have memorable roles in films like Beverly Hills Cop and Midnight Run). Hedaya, Schiavelli and Lloyd all deliver slightly off-kilter line readings that really sell their otherworldly origins. The casting of Buckaroo and his team is also excellent with actors like Clancy Brown (in a rare good guy role) and Jeff Goldblum, who gives his trademark eccentric delivery of his lines in a way that only he can. One only has to look at the scene where he figures out the Orson Welles connection to the Red Lectroids to see what he can bring to a film. Richter first met him on Invasion of the Body Snatchers (1979) and wanted him to play New Jersey. The actor admired his writing and was eager to work with the cast the director had assembled. Goldblum makes a good team with Peter Weller, another equally eccentric actor who starred in other cult films like RoboCop (1987) and Naked Lunch (1990). You really believe that he is this famous hero, beloved by many. For the role of Buckaroo Banzai, the studio wanted a recognizable movie star but Richter and Canton wanted to cast a relatively unknown actor. Richter had been impressed by Weller’s performance in Shoot the Moon (1982) and met with him. He was hesitant, at first, to take the role because he was unclear on the overall tone of the movie. “Would it be campy? Would it be a cartoon? 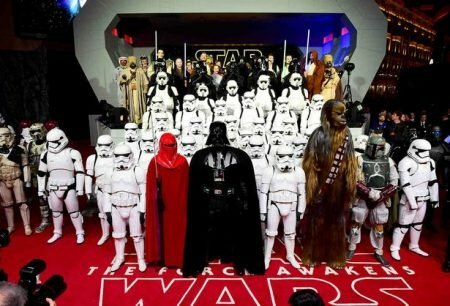 Or would it be the sort of wacky, realistic film that would catch people sideways – and not be a cartoon,” Weller remembers. Richter told him Banzai’s story and convinced Weller to do the film. The actor says that he based his character on Elia Kazan, Jacques Cousteau, Albert Einstein, Leonardo Da Vinci, and Adam Ant. Weller plays Buckaroo with the right amount of laid-back charm and confidence befitting his larger-than-life character and does a great job of selling the film’s oddball dialogue. This goes for the entire cast. There are no knowing winks to the audience as everyone plays their respective roles with conviction. By the time of filming, Richter had a 300-page book called The Essential Buckaroo that consisted of notes and had every incomplete script Mac Rauch wrote over the years. Principal photography began during the second week of September 1983 on locations in and around South Gate, an industrial suburb of L.A., with 12-weeks of filming done on the backlot and soundstages at MGM. Buckaroo Banzai was originally scheduled to be released on June 8, 1984 but was pushed back to August 15. It opened on 236 screens and faced stiff competition against the likes of Star Trek III: The Search for Spock, Indiana Jones and the Temple of Doom, and Ghostbusters. It made $620,279 on its opening weekend before finally grossing $6.2 million in North America. Buckaroo Banzai has since attracted a loyal cult following and was quite popular on home video. Richter said, “It has had the most dramatic reactions of anything I’ve worked on. Some loathe it and others are willing to die for it.” The director feels that the film failed commercially because the narrative was too complex, he would have liked to have had more coverage for certain scenes, he could have edited the film better and there were too many master shots and two-shots that left little for the editor to work with. Buckaroo Banzai is a marvel of esoteric detail that results in a rich world for its characters to inhabit. The New Wave fashion sense of Buckaroo and his team date the film in a wonderfully nostalgic way that only adds to its quirky charm. The film ends with a title card promising a sequel, entitled, Buckaroo Banzai Against the World Crime League. It’s a goof that sadly, never materialized as box office receipts were bad. It’s a shame because the world of Buckaroo Banzai is so interesting and filled with colorful characters that deserve a series of adventures. Fortunately, Buckaroo lives on in comic book form but it would be nice to see another film. The Adventures of Buckaroo Banzai Across the 8th Dimension! Production Notes. MGM. 1984. Burns, James. “An Interview with the Director of Buckaroo Banzai W.D. Richter.” Marvel Super Special #33: Buckaroo Banzai. New York: Marvel Comics, 1984. Flynn, John L. “Across the Eighth Dimension: Remembering the First Adventure of Buckaroo Banzai.” Sci-Fi Universe. 1995. Goldberg, Lee. “Earl MacRauch: Living with the Lepers of Saturn.” Starlog. July 1984. Goldberg, Lee. “W.D. Richter Writes Again”. Starlog. June 1986. Lyman, Rick. “An Actor Who Has Mastered Versatility.” The Philadelphia Inquirer. February 19, 1984. Niderost, Eric. “Peter Weller: Code Name: Robocop.” Starlog. August 1987. 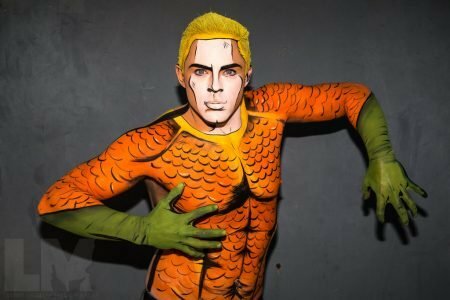 AQUAMAN: Unremarkable but Likeable. Overlong. Bloated. But Kinda Stays Afloat, Just About. Light Laughter and Levity and Lovely Nicole Kidman Save the Sea!